Well, actually just two of my favorite things: birds and cake. I made this cake in 2008, and it was my first creative cake design. The occasion was my Ph.D. advisor’s birthday. 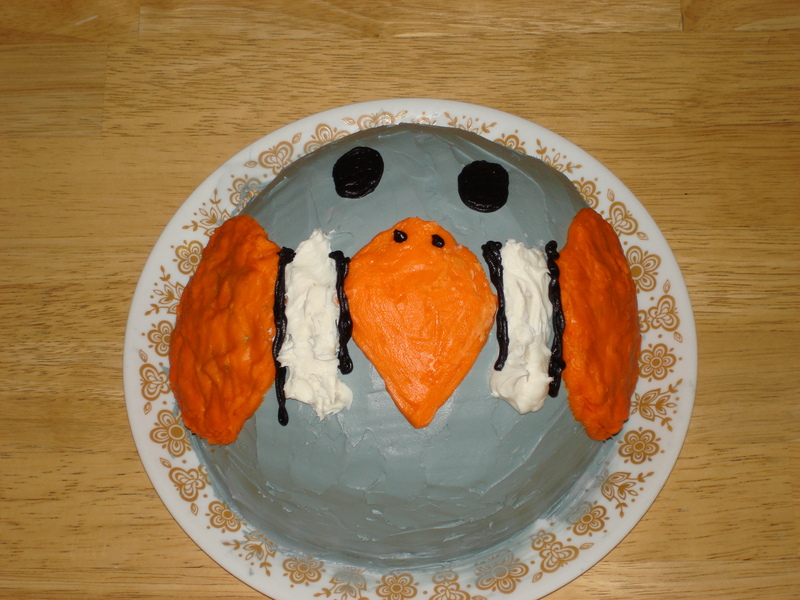 Since we are a bird lab, I wanted to make a zebra finch birthday cake. 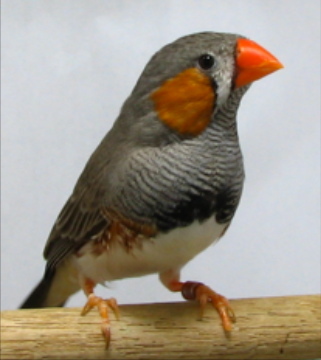 If you don’t know what a zebra finch looks like, please meet Moonshine (one of my dissertation birds who now lives with me). For this particular cake, I hadn’t started doing things from scratch yet. I used box mix and frosting from a can. Since I hadn’t yet discovered the wonderful world of Wilton, I colored the frosting using food dye drops. It’s a miracle that I got the right colors. Overall, I was pretty happy with the result given my lack of cake decorating skills. I was bitten by the cake decorating bug, and the rest is history. 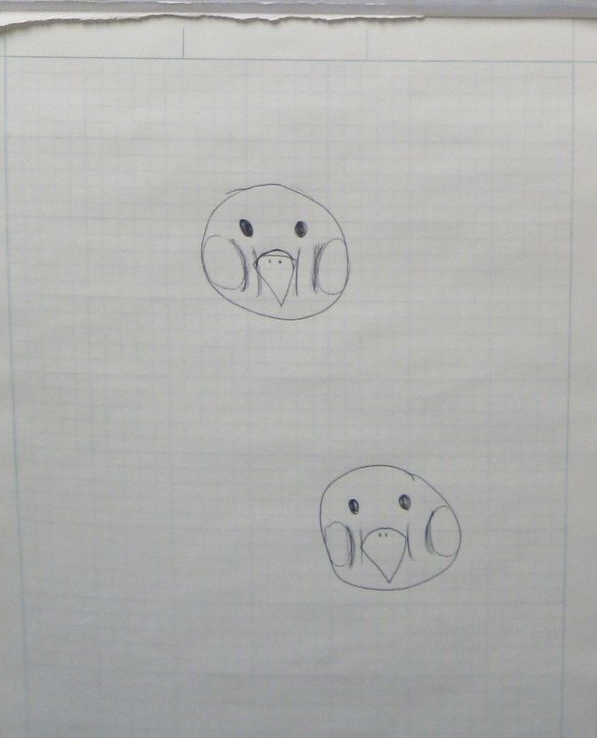 This became my creative outlet which allowed me to stay sane throughout grad school. Well, at least somewhat sane. Oh, I’ve never seen that one! Good job! I never met Moonshine, he’s a very pretty bird, I like his head colorations. Nice job with the cake.